Rocky Mountain Ballet Theatre (RMBT) and Rocky Mountain Ballet Theatre School were founded in 1998 by Artistic Director Charlene Campbell Carey. Ms. Carey envisioned Rocky Mountain Ballet Theatre as a company that would present original ballets and would collaborate with musicians, artists and other dancers and choreographers. Ms. Carey invited music director Karen Carreno to join her in 1998. 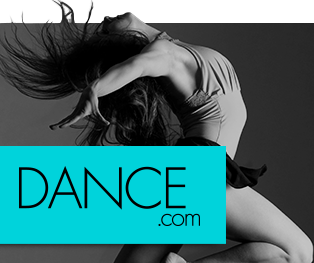 The school offers comprehensive pre – professional training for the aspiring professional dancer and classes in ballet, pointe, jazz, tap, kick line,hip-hop, flamenco and contemporary repertoire for ages 3 to adult in Missoula, Montana. The summer RMBT opened, Ms. Carey invited colleagues from around the world for its first international summer workshop. Guests from the Royal Ballet in London, New York City Ballet, Los Angeles MTV, and Broadway began an RMBT tradition of bringing in top notch artists teaching Montana dancers and showing the beauty of Montana to these artists. This tradition continues every summer. RMBT performed “A Christmas Jewel” in December of 1998.The ballet was conceived by Ms. Carey who commissioned a symphonic score by Los Angeles composer Albert Potts and the production was designed by Montana artist Larry Pirnie. Collaborating with the Missoula Youth Symphony on another score by Albert Potts, Ms. Carey created “Flying Fireworks” a ballet inspired by the Missoula Carousel. From 2000 to 2003 RMBT presented seasonal Parisian fashion revues titled “Les Bonnes Filles” in collaboration with the department store Bon Marche. In summer 2001, RMBT was invited to perform the dance roles in Light Opera Work’s professional production of “Kismet” in Chicago, IL. The directors and 12 RMBT dancers spent 6 weeks in Chicago rehearsing, singing, and performing at the Cahn Auditorium on the campus of Northwestern University. This was the beginning of travel, study and performing opportunities that RMBT could offer to the youth of Montana. In 2002 RMBT was invited to represent the USA during the prestigious Tanzsommer tour in Austria. A group of 35 RMBT dancers, directors and parents traveled and performed in Munich, Innsbruck, St. Johann, Salzburg and Vienna. The dancers studied with European Dance masters and experienced Austrian culture. In 2004 the company returned to Chicago and Light Opera Works to perform in their production of “Candide.” 2005, RMBT directors led a group of 45 to Italy where dancers studied at the Balletto di Roma and toured the historic sites of Rome and Siena. In 2006 the company traveled to Chicago to attend a unique workshop at the Underground Arts Connection with Artistic Director, Terry Fox. RMBT Dancers studied with diverse artists from Cirque du Soleil, Argentine Tango, and Broadway stars from “The Color Purple.” RMBT traveled to southern to Italy in 2007 to attend the Broadway Dance Center’s intensive workshop in Tropea. RMBT dancers worked with Desmond Richardson, world renowned ballet star, and Jared Grimes, hip hop and tap star from New York. While touring nationally and internationally throughout the summer months RMBT continued to perform at home locally. In 2002, Ms. Carey created a new Montana Holiday favorite the “Christmas Spectacular” based on the New York Radio City Music Hall American themes and has become a staple in the RMBT seasonal repertory. The company also performs every year throughout Missoula for many community organizations. Some of these include: First Night Missoula, Missoula Symphony Orchestra, Mendelssohn Club, International Food Fair, Western Montana Fair, Missoula Art Museum, Roots Festival, Confucius Institute New Year Celebration, Missoula Youth Symphony, Missoula Cultural Council, Living Art, Symphony Chorale and University Chorale. The RMBT directors created an after-school week long immersive workshop based upon the classic literature and “Tales of Beatrix Potter.” The workshop incorporated literature, dance, art, and music based upon the writer Beatrix Potter. From 2007 to the present, RMBT takes a 40 minute educational program of dance to Missoula Public Schools free of charge and always with the intent of introducing a new audience to dance and other fine arts programming. In 2006 Ms. Carey contacted Montana Senator Max Baucus and presented the idea of RMBT representing Montana and going to Beijing, China for the Olympics. Sen. Baucus fully supported having RMBT bring a “Montana” program to the Chinese and introduced Ms. Campbell to Chinese Ambassador Zhou during the Senator’s Economic Summit in Butte, MT. RMBT performed for Ambassadors from China, Bahrain, Panama, Indonesia, Chile and South Korea at the summit in 2006. Over the next two years the RMBT directors, board of directors, and the entire community of Missoula supported this tour and opportunity for Montana. The company spent two weeks in China prior to the Olympics in 2008 and presented our American West themed ballets of cowgirls, with American music, a Salish Kootenai fancy dancer, and a rope tricking Montana Rodeo champion. In tribute to our Chinese hosts, RMBT dancers also performed sections from two classic Chinese ballets. The Chinese Embassy and Chinese Peoples Institute of Foreign Affairs hosted the company for two weeks in Beijing, Guilin, Yangzhou, Shanghai and Suzhou. Missoulian reporter Joe Nickel accompanied RMBT on the China tour and kept Missoulian readers up to date daily with the Montanans in China news. As soon as RMBT returned from China, Ms. Carey and RMBT dancer Ashley Hagler were invited to participate in the Beijing Dance Academy Second International Ballet Competition. They returned as Master Teacher, choreographer and competitor. Ms. Hagler competed with dancers from China, Korean, Cuba, Australia, Europe, and South and North America. She placed 7th in the competition and went on to attend Juilliard on scholarship and graduated from there in 2014. Embarking upon a new venture with the Moscow Ballet, RMBT performed the children roles in their production of the “Nutcracker” in 2009 through 2012. RMBT dancers also joined the professional company from Moscow, Russia in their beautiful productions of “Swan Lake” and “Romeo and Juliet” at the University Theater. In February of 2010, RMBT collaborated with the exquisite Rossetti Trio from Los Angeles, CA to present an evening of exceptional dance and chamber music at the Missoula Children’s Theater. Rocky Mountain Ballet Theatre has been recognized as an outstanding training facility and a performing company offering entertaining, original ballets. Dance Magazine featured RMBT in January of 2006. After our diplomatic tour to China in 2008, Sen. Baucus asked RMBT to host ambassadors from Vietnam, Morocco, Colombia, New Zealand and Peru here in Montana the summer of 2008. RMBT returned to China in 2010 for cultural exchanges in our sister state of Guangxi performing on the water stage in Liuzhou and then at the Guangxi Arts Institute in Nanning. The company was headline entertainment in Shanghai at the USA Pavilion and at the American stage at the World Expo. In 2014 RMBT returned to China on an official US State Department Grant performing and conducting cultural exchanges throughout the Henan and Guangxi Provinces and was presented at the beautiful Tianquo Theater in Beijing. RMBT also had a very memorable experience working with the amazing Chinese Disabled Performance Troupe facilitated by Ambassador Max Baucus and his wife Melodee Hanes Baucus. In 2012, Rocky Mountain Ballet Theatre created“Going Viral” a convergence of art and science that uses live contemporary ballets with projected visual images of viruses. Artistic Director Charlene Campbell Carey and Montana videographer and photographer Barbara Michelman collaborated with Marshall Bloom, Director of the Rocky Mountain Lab in Hamilton, MT to create a dynamic work that conveys the history of many viruses along with current research from the scientists and what the future could bringThe Bill Gates Foundation and the Rotary Club chose our Polio Ballet to become a cornerstone of their educational campaign for vaccinations worldwide in an effort to eradicate Polio. Summers of 2013 and 2014 were spent in Salzburg, Austria at the International Ballet Academy, under the direction of Peter Breur and his Salzburg Ballet. RMBT was humbled to be invited to perform our “Montana” program during the opening ceremonies of the famous Salzburg Music Festival. RMBT Artistic Director Charlene Carey and 2 RMBT principal dancers were invited to Vladimir Malakov’s Vienna International Ballet Competition where Ms. Carey met Gregor Hatala, Principal Dancer at the Vienna Statsopera Ballet. In 2015, Mr. Hatala invited RMBT to host the premiere of the Vienna International Ballet Experience (VIBE) in the USA and in January of 2016 Missoula became the first USA city to host VIBE—which included a dance challenge, film festival and diplomacy conference. RMBT produced and organized all aspects of VIBE USA: fundraising, recruiting outstanding dancers from an elite global pool, inviting the prestigious jury, securing all venues, organizing all master classes, films, special events and lecture series. RMBT collaborated closely with the Mansfield Center on campus of the University of Montana and in harmony with Dr. Abraham Kim with the Diplomacy conferences. VIBE attracted over 6,000 participants, speakers, diplomats and audience members. RMBT hosted the successful encore of VIBE USA in Missoula, Montana again in January 2017. Dancers from Romania, Italy, South Africa, Cuba, Mexico, Portugal, France, Brazil, China and Austria met in an Olympic spirit of sharing art and creating mutual understanding. The topic of the week was the role of the arts in global human communication. RMBT directors took their expertise in organization and event/ competition management to Vancouver, BC to work with Chan Han Goh’s Premiere of the Global Dance Challenge. On the heels of these many successful adventures and collaborations in the Global Arts Marketplace and as RMBT enters our 20th Anniversary season in 2018 , Ms. Carey and the RMBT board of directors have decided to brand our own American Festival& Global Cultural Exchange: “Ballet Beyond Borders” willpremiere January 2018 in Missoula, MT with Gene Kelly’s wife, Patricia Kelly presidingat the Opening BBB ceremonies and presenting her sensational show and educational tribute to an American genius and creativelegend, Gene Kelly.